Kids' book pro for twenty years, formerly with Scholastic, Disney. Honest, constructive feedback and a collaborative atmosphere. 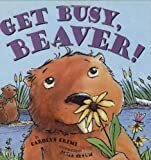 As a Senior Editor at Scholastic and Disney, I worked with many award-winning and best-selling authors and illustrators. Whether you are looking for editorial feedback on a manuscript or need help to further develop an idea, collaborating with authors is my passion. Once we have completed our work together, you will have a manuscript that is ready for the next step in the publishing process. I have worked on both stand-alone books and series, from the fact-based Magic School Bus and Dear America lines at Scholastic to the best-selling High School Musical and Hannah Montana tie-ins at Disney. I have been lucky enough to personally edit such luminaries as Joanna Cole, Edwidge Danticat, Walter Dean Myers, Mary Pope Osborne, and Cynthia Rylant. •	Since 2013, I have edited and consulted on 150+ children’s book and digital projects, ranging from picture books to middle-grade novels, ebooks, blog posts and apps. •	Little Zebra Books, Editorial Project Manager (2013–2014): This non-profit publisher serves rural communities in Africa through the distribution of African-language books. •	Hattie Mae and Pals, Editor and Publishing Consultant (2010–2012): This non-profit organization raises awareness of childhood obesity and encourages families to live a healthy lifestyle; I edited their brand-launching book, and advised the team on the publishing process. •	Blue Dream Studios, Editor (2008–2013): Developmental editor for middle-grade novels; reviewed page layouts and provided editorial comments for multiple graphic novels. •	Managed, acquired, and edited all Disney Channel-based publishing; liasoned with Disney Channel Brand Management team to ensure brand consistency. 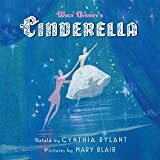 •	Acquired retellings of Walt Disney’s Cinderella by Newbery Medal-winning author Cynthia Rylant and Walt Disney’s Alice in Wonderland by best-selling author Jon Scieszka. •	Edited approximately twenty-five books per year, including picture books and novels; wrote cover copy, catalog copy, and marketing fact sheets for each title. •	Conceived and edited High School Musical: Stories from East High, a best-selling series of original novels; edited the New York Times bestseller High School Musical: The Junior Novel. •	Acquired and edited picture books, novels, and nonfiction; wrote cover copy, catalog copy and marketing fact sheets for each title. •	Tapped by Scholastic’s publisher to manage integration of the Orchard Books list when acquired by Scholastic; forged relationships with authors and illustrators on the Orchard list. •	Managed an Associate Editor, who edited foreign purchases and original titles. •	Oversaw committee that evaluated 800+ Orchard backlist titles to determine reprint viability. •	Negotiated contracts, including advances, royalties, and subsidiary rights, with authors and agents. •	Managed Dear America and launched two series under the Dear America umbrella; edited the majority of the books in the three lines and worked closely with marketing and Scholastic Book Clubs and Book Fairs to promote the series. 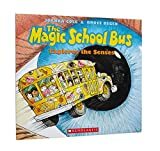 •	Edited several books in the science-based series The Magic School Bus and launched Ms. Frizzle’s Adventures, a social studies-based offshoot of the series. •	Wrote cover copy, catalog copy, and marketing fact sheets for each title. A quirky, inventive chapter book featuring an unusual hero--an 8-year-old worrier. Now in paperback!Stuart's got problems. It's raining. He's bored. And worst of all, he's new in town, so he's got a lot to worry about. What does a kid like Stuart need in order to have an adventure? A cape, of course! During the Nazi persecution of the Jews in Austria, twelve-year-old Julie escapes to America to live with her relatives in New York City. 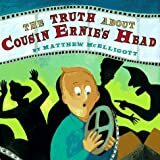 Provides an amusing look at a lively family gathering as they yelp and bicker about the various facts of the stories they tell, that is until Grandma pulls out a home movie and settles the dispute over what landed on Cousin Ernie's head once and for all. Let me start by saying this was my first time completing a manuscript and hiring an editor. Amy was so professional and patient with me. She's knowledgeable about the industry and I would recommend her to anyone! I will be working with her again in the near future! Thanks Amy!! Amber has a terrific story concept and is so easy to work with. Thanks, Amber! It was a pleasure working with Amy on my children's book. The editing process went smooth, communication exceeded expectations, and the job was done in a timely manner. I will definitely work with Amy again!! I'm so glad that I found Amy on Reedsy, and honestly she sets the bar! She was very helpful, professional, and timely. Amy also had great feedback for me, and I wouldn't be as confident in my manuscript without her. Thank you, Amy! Thanks so much for the great review, Guy! Loved working with you! I am a Children's Editor at Australia's leading independent publisher. Let me help you craft the perfect frame for your masterpiece. I've worked on 300+ picture books, as well as middle grade, art, design, and nonfiction titles for Scholastic, Chronicle, Disney, and more! 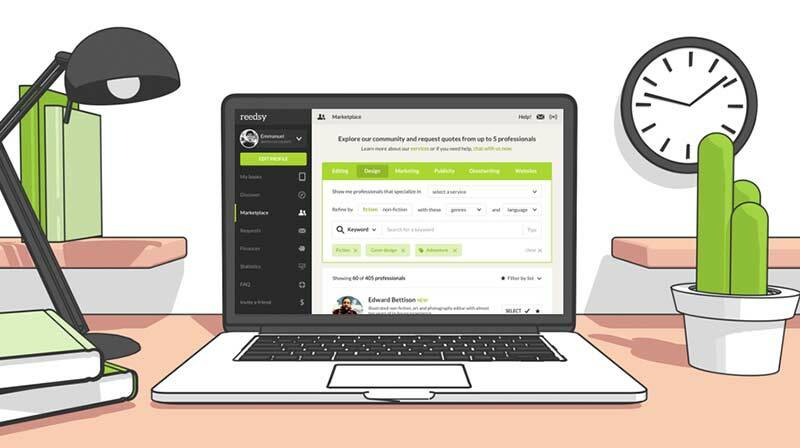 Join Reedsy to request a free quote from Amy and over 1,000 similar profiles.